In this episode we interview Madelaine Cohen, an entrepreneur, business mentor, and author. She shares her journey and early influences, and her insights on taking a Lateral-Thinking approach to entrepreneurship – a reverse-engineering approach to solving problems. Madelaine is an Author, Business Mentor, Certified Trainer in Neuro-Linguistic Programming, and a Lateral-Thinking Entrepreneur. She is a successful business leader and entrepreneur, with 25 years of experience, with a deep generosity in how she shares her most innovative communication strategies and “light bulb moment” experiences in leadership development, communications, marketing planning, commercialization, sales, business and financial success. Her approach is innovative, entertaining and above all incredibly practical and life changing. 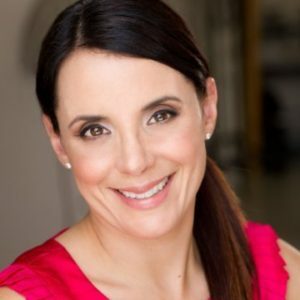 Madelaine is heavily involved in the healthcare industry, and is the owner of Chirofamily Chirosports a well loved Chiropractic clinic in Sydney’s Eastern Suburbs (Australia) established for more than 20 years. Madelaine is also the founder of The Lateral-Thinking Entrepreneur – helping her clients transform their thinking, emotions and behaviors. She is also the author of “The Lateral-Thinking Entrepreneur – 33 Principles for Expansive Leadership” and “The Lateral-Thinking Entrepreneur – 33 Strategies to Transform Your Business Success“.